In August last year, Samsung introduced a very powerful smartphone – Galaxy Note, it is not only equipped with dual-core processor is also equipped with 5.3 inch touch screen. 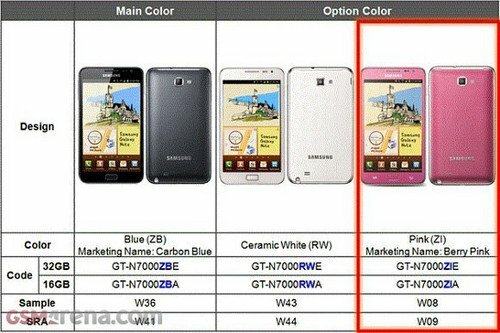 Today, the news from media shows that after the black and white version, Samsung will launch a pink version of Samsung Galaxy Note. Posted in News -	Tagged 1GHz dual-core processor, 4G network, Cool shape, Motorola, Photon 4G.